The owner of an apartment complex in Pennsylvania has agreed to pay $15,000 to settle a lawsuit brought by HUD over discriminatory leasing practices. The charges stemmed from the treatment of families with children. The on-site manager was accused of stating a preference against children in the rental property. The local housing office reported to HUD that households with children were charged more rent than those without. The Fair Housing Act makes it unlawful to impose different rental charges and terms of a lease on households because of the presence of children. In addition to paying the fine, the complex will now display fair housing signs in its leasing office, as well as the “Equal Housing Opportunity” logo on its vacancy signs and other rental materials. This post is provided by Tenant Verification Service, Inc., helping landlords reduce the risks of renting with fraud prevention tools that include Tenant Screening, Tenant Background Checks, (U.S. and Canada), as well as Criminal Background Checks, and Eviction Reports (U.S. only). Click Here to Receive Landlord Credit Reports. Disclaimer: The information provided in this post in not intended to be construed as legal advice, nor should it be considered a substitute for obtaining individual legal counsel or consulting your local, state, federal or provincial tenancy laws. Property Maintenance: What’s the Plan? Reputation Matters: Are Landlords Losing the Ratings Game? 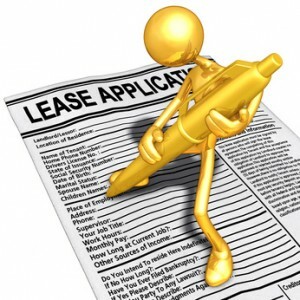 When Was the Last Time You Updated Your Rental Application? Should High Schools Offer Classes in Renting?